At Wessex Garage Doors, we are proud to have been working with CDC for many years, supplying and installing excellent quality garage doors for a wide range of clients. These garage doors suit a wide range of property styles, come with secure locking mechanisms and can easily be fitted with an automated opening system if required. All of our doors, including the range from The Corporate Door Company, are offered with a comprehensive warranty, as well as our very own price promise guarantee. The Corporate Door Company (CDC) is an independent manufacturer of GRP (Glass Reinforced Polyester) garage doors and components. They specialise in manufacturing doors to bespoke requirements, working with commercial developers as well as providing us with garage door styles for private residences across the South East of England. GRP is an ideal material for the construction of garage doors, and has the same strength to weight ratio as steel. It’s lightweight, durable, and will not rust, warp or rot. GRP doors also require very little maintenance and, once you have chosen your preferred design, will need no staining or protective finishes to preserve their appearance. The Corporate Door Company handmakes all of their GRP doors to order, in a wide variety of styles to complement the architectural features of your home. Choose between a classic white gloss finish, or one of their realistic woodgrain effects, available in a wide range of tones and grains. Every CDC garage door is finished to a very high specification, incorporating a metal and timber framework within the structure of the door to provide maximum strength and rigidity. A smooth, gel flow coat is applied to the back of every door, and the top, bottom and side edges are finished with a matching colour or wood stain effect for improved aesthetic appearance. The Corporate Door Company constructs every door with an exceptional attention to detail. 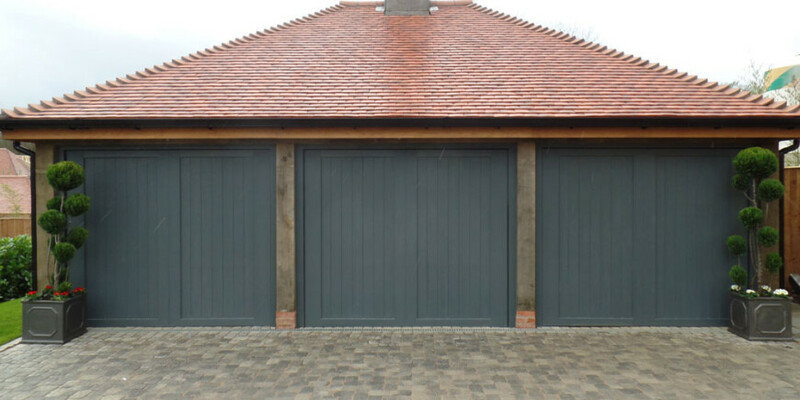 Their team of experienced craftsmen take great care over every single door, and dedicate time to ensuring that each and every garage door finished to the highest standard and functions as close to perfect as possible. 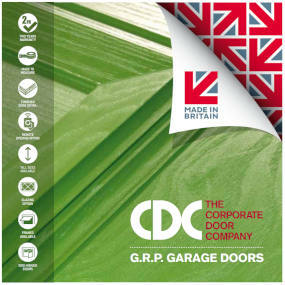 For more information about the doors available from CDC, please contact our team today.